I love vampire books and when you add in other creatures well it is a combo for a good book. This one however was slow to start for me. But after a few chapters it picks up and gets very interesting. This is not the typical Vamp book though as these vampires are a mixture of vamp/zombie like and then you get the hybrids who are something all together different. April a young strong woman is determined to rescue her mother and little brother from the vampires. 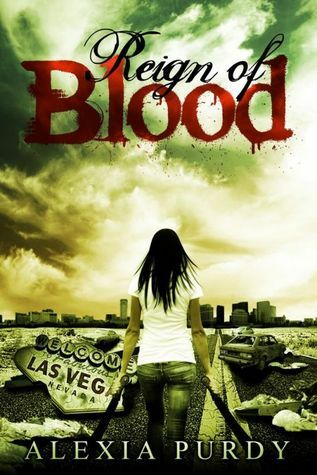 The story is set in Las Vegas and a virus has changed most of the people there. April thought all vampires bad until she meets some that are hybrids. April is a fighter and refuses to give up even if it means her death. Oh she also meets Rye who is a mixture and his friends and things start to look up a bit for April. I am a lover of paranormal and I love when an author throws a mixture in a book. This book gives you that mixture and it also gives you the creep factor because you know this could happen a virus could wipe out mankind and change us all. So if you can't handle that then this may or may not be the book for you. I was gifted the audible copy of this book for my honest review. And I also own the kindle copy of this book.